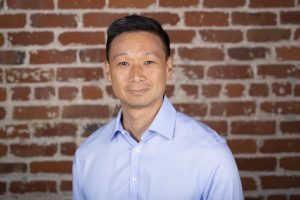 George Chang serves as General Counsel and Chief Compliance Officer for Voleon, and he is based in Berkeley, CA. His career includes leadership roles in finance law and compliance. Mr. Chang began his career at Akin Gump Strauss Hauer & Feld LLP. After Akin Gump, he served as Vice President and Assistant General Counsel in the asset management division of Goldman, Sachs & Co. and then as General Counsel and Chief Compliance Officer of Rockbay Capital Management LP. Following Rockbay, Mr. Chang was Head of Legal and Chief Compliance Officer at GLG Inc., the U.S. subsidiary of GLG Partners LP, a London-based hedge fund management firm (subsequently acquired by Man Group plc). Prior to joining Voleon, he served as a Senior Vice President and a member of the Legal department at D. E. Shaw & Co., LP, where he headed the product development function. Mr. Chang earned his JD from New York University School of Law, and he holds a BA from Wesleyan University.